This manga tells parts of the story that are not included in the main Junketsu no Maria manga. It once again features the witch Maria, who lives in France during the Hundred Years War in France. The manga begins with the meeting of Viv, who is an English witch, and Maria. This is a tale of modern-day magical ninjas. Reito is just an ordinary guy, who wants to maximize his own happiness by being cool and not thinking of others. However, his stupid, annoying, large-breasted neighbor Iona Shiragami keeps trying to be his friend. One day, he learns her secret: she's a ninja who guards a powerful family ninja art, and other ninja are here to take it from her. 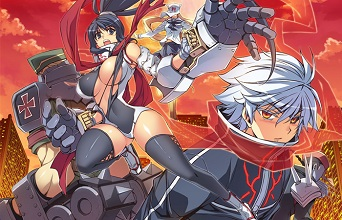 When Reito is killed in the crossfire, she uses her magical ninja art to bring him back. However, the art also turns him into a super powerful monster. Will he be able to turn back to how he was before, and what will become of his life now? In a certain empire, the young emperor's workroom has a ceiling space that is full of secret agents from many of the empire's member countries. They all wear masks, but they get along as friends while they peacefully keep surveillance on the emperor. One of these secret agents is a young woman, who is less than a year from her 18th birthday. She receives word from her home country that she is to be transferred, and that she will become some noble's lover. However, when she arrives home, she finds the situation is a little different. The emperor himself has come to fetch her, and he intends to make her his empress. To her surprise, he is actually someone she knows, a man who was sometimes among the masked secret agents! Now she will enter her new 'post,' and see if she can make it as a future empress! The Junketsu no Maria Exhibition would be great for fans of the main story, who would like to see a little more of the characters. Tenjouura kara Douzo Yoroshiku kind of feels like it is based on a game, where the heroine has to make it to her 18th birthday to become an empress. It would be fun for people interested in stories about cross-class romance and people thrust into court intrigue, I think. Monochrome Teito Ninpouchou was a little silly for me, but it looks like the first two chapters are already scanlated. If you're interested, it's already there for you to check out! 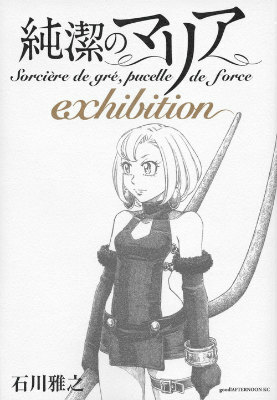 Junketsu no Maria Exhibition - If you liked the prequel to it and are in the mood for a historical supernatural manga, then this short one volume manga may appeal to you. Monochrome - Teito Ninpouchou - If you like Freezing and other action-type manga, then this is right up your alley. 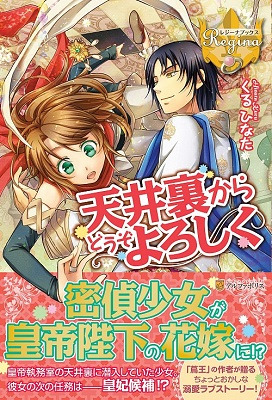 Tenjouura kara Douzo Yoroshiku - On the other hand, if you're in the mood for romance in a historical setting with emperors and a soon-to-be empress, then you should check this out instead. If you haven't done so already, check out the scanlations of the manga from previous shout outs which have been recently scanlated: psychological horror Funouhan (MH link).